Heat oven to 350°F. Spray skookie pan with cooking spray. 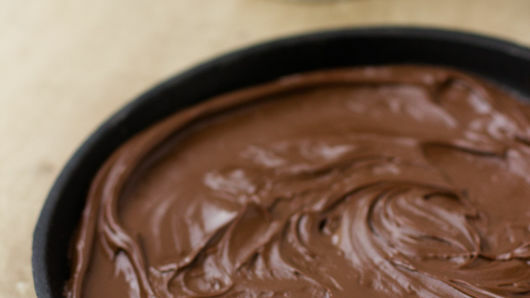 Spread 1/2 cup fudge topping evenly in bottom of pan. Cut cookie dough into slices; arrange over topping. Press dough into even layer. Bake 12 to 15 minutes or until lightly browned. 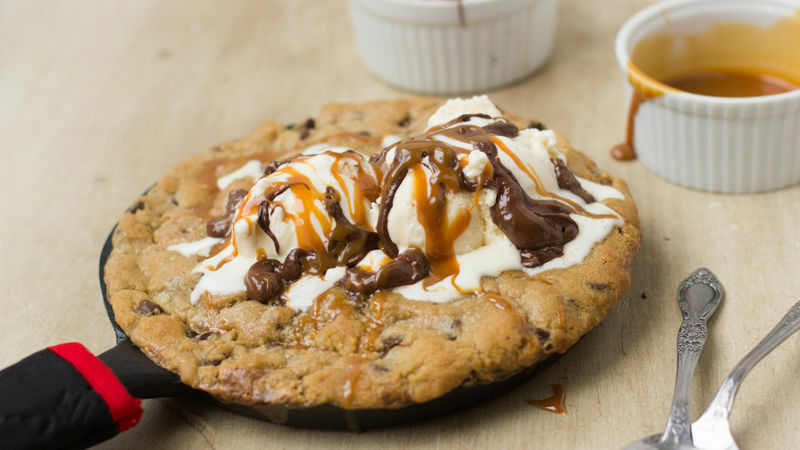 Serve topped with ice cream and drizzled with caramel topping and additional fudge topping. 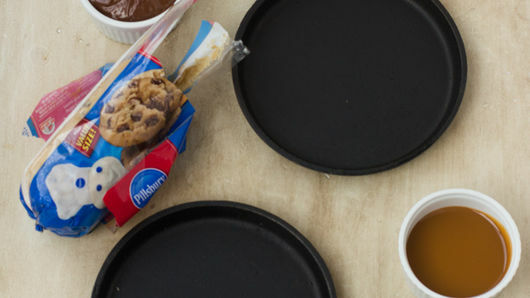 If you don’t have a skookie pan, you can use a small pizza or cake pan. Try changing up the cookie dough flavors for a unique twist!